Lilly Express DKS and Mira DKS begin their Spring Mediterranean Equestrian Tour in Oliva, Spain with a splash! Today, our lovely, brave mares Lilly Express DKS (Baloubet du Rouet - Cento) and Mira DKS (Mylord Carthago - Cento) began their 6-year-old and 5-year-old campaigns, respectively, at the sunny Mediterranean Equestrian Tour in Oliva, Spain. 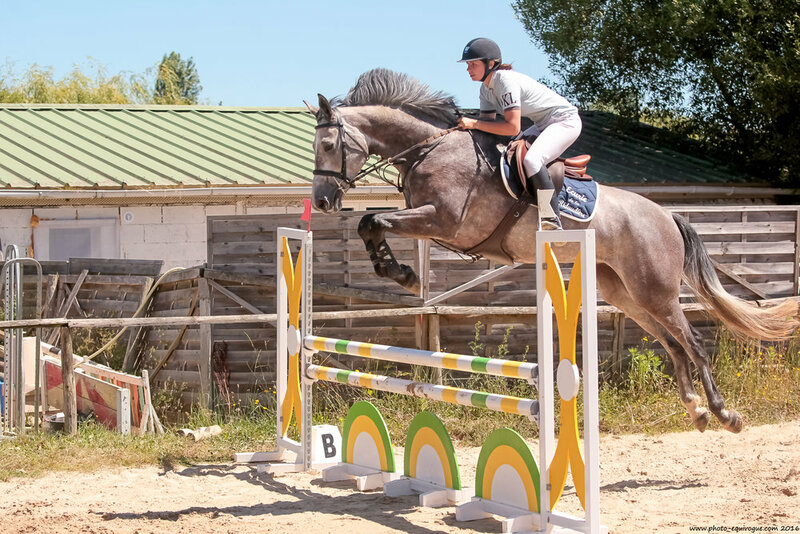 Lilly had a nice error-free round over a 1.25 m course thanks to superb riding by Emmanuel Bertho, while Mira also had a clear round under the saddle of the amazing Amy Graham, both of Haras du Ry. Thank you Amy and Manu! Here are some 2016 pictures of Lilly (bay) and Mira (gray). Newer PostHacienda Van De Molendreef DKS Moves Up to 140! Older PostNina Simone DKS Sold at FENCES!